Attorney James Sullivan has fought for clients since 1994 and has represented over 3,000 clients in criminal and juvenile courts in Texas. He gets proven results. James Sullivan graduated from the Trial Lawyers College founded by legendary trial lawyer Gerry Spence. 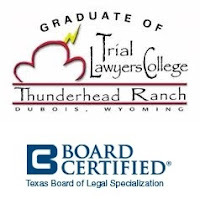 Attorney James Sullivan is also Board Certified in Juvenile Law by the Texas Board of Legal Specialization. Juvenile Law is different than criminal law.